Scottish actress Tilda Swinton is the latest frontrunner to become the first female Doctor Who when Peter Calpaldi steps down from the role at the end of this year, according to new bookmakers' odds. Ladbrokes says 56-year-old Swinton has been the focus of a "huge gamble" from punters, with her odds now at 7/2 after initially having entered the market at 10/1. Other actresses tipped for the iconic role include Death In Paradise's Kris Marshall at 4/1, Broadchurch's Olivia Colman at 5/1 and Maxine Peake, best known for Dinnerladies and Shameless, at 8/1. Ladbrokes spokeswoman Jessica Bridge said: "Whovian punters are becoming increasingly convinced the next Doctor will be female, and fingers are currently pointing towards Swinton." New Doctor Who boss Chris Chibnall has also spoken for the first time about the primary challenge he faces when replacing Capaldi. Chibnall will take over as showrunner on the hugely popular BBC show from 2018 and one of his first tasks will be to cast a new Doctor. He told the Telegraph newspaper that, while some fans are calling for a female Doctor, it's too soon for him to have decided on either the actor's gender or race. Every Doctor up until now has been a male caucasian. "We'll cast the role in the traditional way: write the script, then go and find the best person for that part in that script," Chibnall said. "You couldn't go out and cast an abstract idea." And while acknowledging that he had a blank canvas to play with, Chibnall did reveal that he has "a very clear sense" of what the new Doctor will be like. "The creative possibilities are endless, but I have a very clear sense of what we're going to do, without even knowing who's going to play the part," he said. Outgoing boss Steven Moffat has revealed that Capaldi, who announced his departure from the show just a few weeks ago, was almost convinced by Chibnall to sign up for a fourth season as the legendary Time Lord. "It took Peter a long time to make up his mind," Moffat said. "But I think he came close to staying." 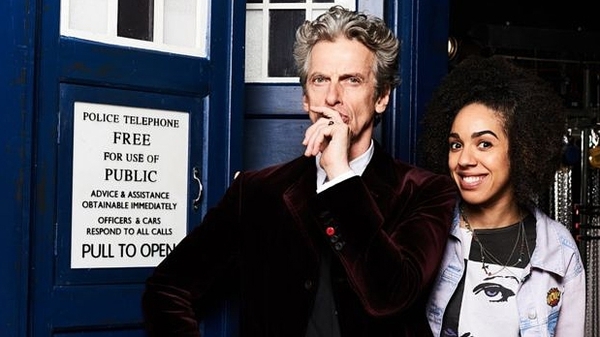 The next season of Doctor Who, which will the last one for Capaldi and Moffat, begins on Saturday, April 15 on BBC One.